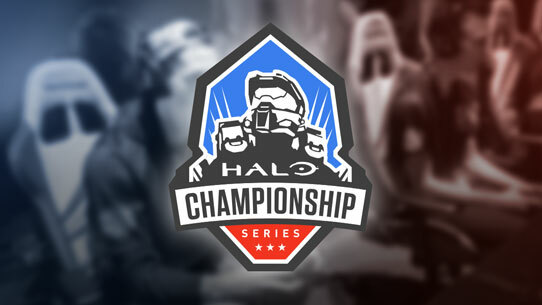 Much has transpired since we last caught up with Season 1 of Halo Championship Series, and we thought this would be a good time to fill you in on the latest HCS news. Following Iron Games Columbus, the Top 8 teams in the HCS saw some major shake ups going into this past Sunday’s Online Cup #2 by ESL. 8th place seed Noble Reality Check saw a roster change that unfortunately split the team up in half. HCS rules state that only one player may be changed during a transfer period and this means they forfeit all of their points and their seed in the HCS. In an unexpected turn of events, 2nd place seed Evil Geniuses filed for a roster change the night before the transfer period ended. Halo veteran and star of Evil Geniuses, Justin “iGotUrPistola” Deese was involved in an accident that led to severe injuries to his hand and wrist. iGotUrPistola has opted to undergo surgery and will not compete in the HCS for the foreseeable future. We wish Pistola a successful surgery and a speedy recovery. "I'm really excited to be able to join the Evil Geniuses Halo roster. This situation is unfortunate, but I hope to help the rest of the guys make the best of it. I have competed against these guys for years and it will be great to finally get to team with all of them." There’s not much debate about whether or not Lethul has the skill to fill iGotUrPistola’s shoes but it will take team chemistry and balance if Evil Geniuses wants to continue their great performance in Season 1 of the HCS. The full statement from Evil Geniuses about their roster update can be found here. If you’re wondering who will replace Lethul on Believe the Hype, look no further than Wes “Clutch” Price. The substitute player for Denial, who performed exceptionally well at Iron Games Columbus, has returned to his former club to compete as a full time member of BtH. With updated rosters, Believe the Hype managed to snag the 7/8 spot, and Evil Geniuses took 3rd place. While both teams always expect to win, their placings are very respectable considering the recent team changes. Denial had their strongest showing in the Halo Championship Series yet, taking down the #1 seed Counter Logic Gaming in convincing fashion. In the Semi-finals they were inches away from capturing the game winning flag on Warlord when it was Cameron “Victory” Throlakson of Cloud9 who managed to pull the enemy flag and return his own simultaneously keep his squad alive. Cloud9 countered and was able to secure their own flag and a spot in the Finals. "Honestly it is an amazing feeling to take out multiple top professional teams after struggling before the Iron Gaming tournament. It makes me happy that Cloud9 Halo is finally clicking." For a full recap of Online Cup #2, head on over to ESL. Let’s take a look at the upcoming schedule for Halo Championship Series. Online Cup #3 by ESL will be the last HCS event until we swing by St. Louis for UGC’s Diamond LAN event. Because seeding for all events are determined by HCS Points, teams will want to make sure they bring their A-game to put themselves in a good position for UGC’s Diamond event. Registration for Online Cup #3 is free and can be found here. 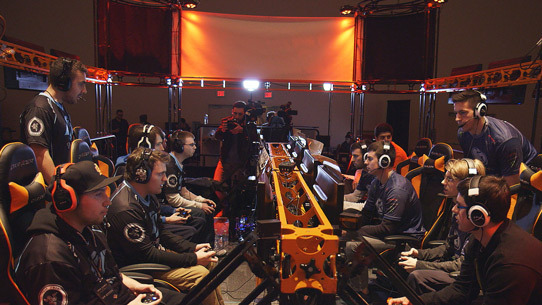 UGC is kicking off 2015 with their the biggest Halo Championship Series tournament thus far , and we’re excited to see the show. 4,000 HCS Points will be awarded to the top team in St. Louis, the current prize pool is over $20k and almost 100 teams have registered so far. Team passes are still available here. Halo Championship Series will take a break after UGC’s Diamond LAN tournament as we enter the Halo 5: Guardians Multiplayer Beta, which will run from Dec. 29, 2014 through Jan. 18, 2015. The Multiplayer Beta includes seven maps and three game types, as well as a variety of different armor sets to customize your Spartan. See you online! Finally, at UGC’s Diamond LAN tournament we’ll be announcing and providing details for the next major LAN tournament as well as the Season 1 Finals. Stay tuned to @Halo for more details on Halo Championship Series. 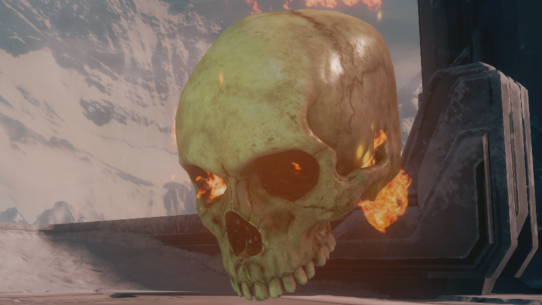 The Flaming Skull Update for the Halo Championship Series. We wrap up the first Halo Championship Series LAN tournament, and talk to the winning team, CLG.